Recent articles in Digiday’s series on the advertising strategies of direct-to-consumer (DTC) brands chronicle the trend of ballooning linear TV spends and the challenges these brands face in optimizing this offline channel. Having maxed out digital channels, more and more DTC brands are banking on TV to achieve scale. Yet, given the inherent and steadily growing shortcomings of TV as a direct advertising channel, the Digiday articles raise an interesting question. Namely, should TV be the go-to channel for DTC brands seeking scale or is there a more efficient, effective and measurable direct advertising option? The first article on Digiday discussed how the ever-growing flock of direct-to-consumer (DTC) brands that have been built on the backs of Google, Facebook and other social ads platforms are now turning to traditional TV advertising in an attempt to meet their ambitious growth goals. They’ve maxed out on Facebook and are seeing customer acquisition costs rise to unacceptable levels. Now, they’re spending tens and even hundreds of millions annually on TV, with some DTC brands spending up to 40% of ad budgets. 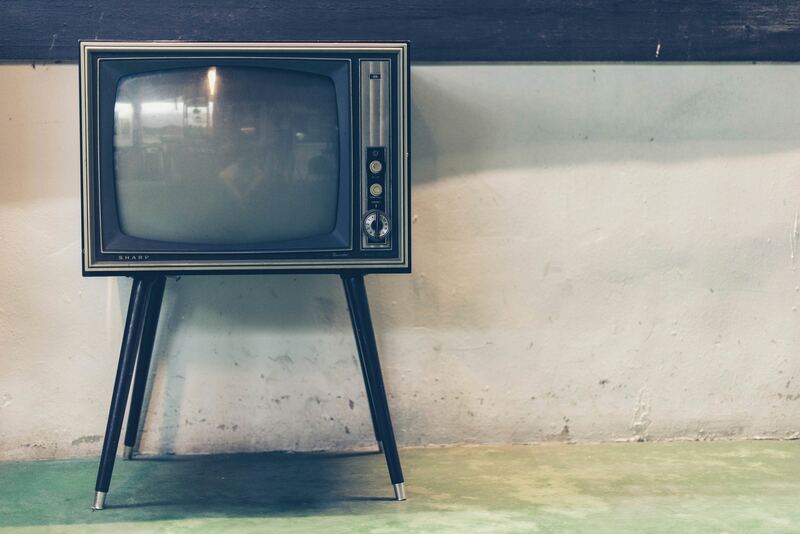 In fact, the article cited data from the Video Advertising Bureau (VAB) that 120 DTC brands tracked by Nielsen spent over $2 billion on TV in 2018, an increase of more than 89% from the prior year. And that doesn’t even include December 2018 data, so the increase is very likely much higher. The conclusion one might draw from this development is that the oft-proclaimed “death of TV advertising” must be premature. For years we’ve all been hearing about the growing challenges faced by the linear TV advertising business — audience fragmentation, ad-skipping, OTT/CTV growth, etc. — yet these growth-hungry, ROI-driven DTC brands are pouring more and more money into traditional TV, and smaller amounts into connected TV. So, TV ads must be working, right? The follow-up article from Digiday casts some doubt. Digiday’s next article, following a few weeks later, detailed how some of these very same DTC brands were struggling with the “legacy limitations” of television advertising. Consider that start-up DTC brands are staffed largely with digital native marketing leaders who have grown up in an almost exclusively digital advertising milieu. They have mastered the new (not so new anymore) digital prospecting platforms like Facebook, which provided a precise and target-rich environment for acquiring customers who weren’t actively searching for your category or brand on Google. The love affair with Facebook has cooled, and not just because of media costs increasing or the ongoing revelations of compromised user privacy. With the removal of third-party data from Facebook’s ad platform in 2018, the ability to target core audiences based on criteria such as household income, recent or past purchases has been severely curtailed, if not eliminated altogether. These digital marketing natives are accustomed to seeing the results of ad spend almost immediately and tend to have a low tolerance for ambiguity when it comes to analyzing campaign results. To their credit, they are also committed to A/B or multivariate testing of audiences, creative and offers, and to having the ability to set up and run these tests quickly and with very little friction. That’s because TV is tougher to measure. Digiday’s senior reporter Tim Peterson summed up the challenges. So much less straightforward that in-house data science teams at these brands are forced to cobble together custom attribution models to try to figure out how much credit to give to their rapidly growing TV spends. More often than not, they’re finding it can be a less than clear combination of art and science. Given these limitations and the heavy costs required to even test TV (not to mention the substantial creative costs), it’s surprising that we are not hearing more about DTC brands ramping up their spend in print, and specifically in direct mail, the advertising channel that spurred the growth of an earlier generation of DTC brands. While so-called “programmatic direct mail” has made something of ripple in the past couple of years, it’s bound and limited in scale by its sole focus on retargeting anonymous visitors with mail. The huge opportunity for DTC brands who’ve maxed out digital platforms is direct mail prospecting. Direct mail prospecting — targeting brand new audiences with direct mail — excels as a customer acquisition channel for the same reasons that DTC brands loved Facebook ads. Lookalike modeling: The targeting option that most often performs best on Facebook, performs best in direct mail. Top performing direct mail campaigns are built on the back of 1st party customer data used to build lookalike models with 3rd party data sets. Easy testing: The ability to test creative, offers and lists (audiences) is virtually unlimited and easy to do. And you are not limited to A/B testing either; in fact multivariate testing is the key to accelerating learnings, scale, and declining CPA. Scale: Direct mail has the highest potential reach of any DTC marketing channel because virtually everyone in the United States (and elsewhere) has a mailbox. With lookalike modeling, like Facebook, you can start with the closest lookalikes and scale your direct mail campaigns out to lower deciles of the model to expand reach. Attribution: One of the unique and often overlooked aspects of direct mail that makes it so appealing as a DTC marketing channel is that it is the only channel that starts with a definitive list of people and physical addresses. Having the names and addresses of your prospects allows for the use of matchback analysis, so you can see how many of the households you mailed wound up becoming customers. Thus, the full or fractional credit your data science teams give to direct mail can be more confidently determined relative to TV. Other advantages of direct mail include the ability to tell more of the product or service value story, the persistence of the printed piece in the home, and the ability to activate the lookalike-modeled data in other digital channels like display, Facebook and even email in a true omnichannel strategy. As the VAB study showed, TV does drive response, and it has a place in the media plan, but as we’ve shown above, direct mail has more of what DTC marketers want and need from a marketing channel — precise targeting, robust testing, accurate measurement, and unparalleled scale. In short, when CPAs in paid search and paid social start to hit a ceiling, prudent DTC brands should turn (and a growing number are already turning) to the DTC channel that spurred the growth of an earlier generation of DTC brands — direct mail.